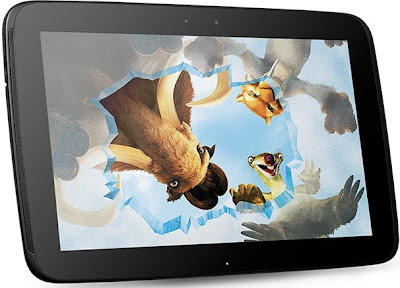 Aakash 2 Tablet features 7-inch Capacitive display with 480 x 800 pixel resolutions . It is powered by 1GHz Cortex A8 processor with 512MB RAM. 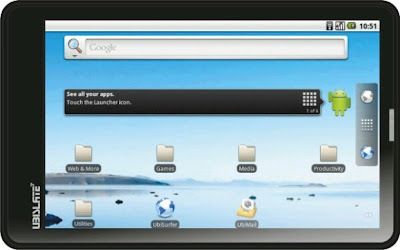 Aakash 2 Tablet runs on Android 4.0.3 Ice Cream Sandwich OS and has 4GB of storage expandable up to 32GB with a microSD card. Aakash 2 sports Front VGA Camera and comes with G-Sensor,Wi-Fi and 3.5mm jack.It provides a battery back-up of 3 Hrs. Aakash 2 Tablet commercial version UbiSlate 7Ci comes with a price tag of Rs. 4,499. The Academic Version of Akash 2 Tablets are enhanced by IIT- Bombay. They equips the tablets with Features which are well suited for student community. Proximity: enables creation of interactive lessons by importing lecture video and presentation slides. Proximity brings personalised learning to students who can access quality lectures by reputable teachers. A searchabale database storage and retrieval system for students enables fast and even offline access to published lessons and lectures. Blender Animation: An open source software for creating 3D animations, rendering, video editing etc. Several educational animations have been ported on the tablet. Scilab: Open-source equivalent of the commercial product Matlab. IIT B’s Scilab port on Aakash allows users to write and execute their programmes directly on the tablet. This is the first Android tablet that has been able to port Scilab. Aakash Pustak e-book reader: It has over 5,000 textbooks, with NCERT textbooks across classes constituting the bulk. Aakash Putsak is unicode, allowing books in regional languages too to be accessed. GNU-Khata: A tool for those studying accounts, GNU-Khata can help create ledgers, balance sheets, account books and so on. Clicker: A student response system for classrooms, created again by IITB. Clicker enables teachers to get quick feedback from students on instant quizzes. A quiz question gets downloaded on a student’s Aakash tablet. At the end of the test time, all answers are automatically collected and get recorded in the back-end system. Clicker also enables the teacher to generate a progress report on the comprehension levels of each student based on his answers in a range of quizzes. Clicker comes to the aid of the shy student who may have a query for his teacher but will not say so publicly. The “raise hand” feature on Clicker allows a student to raise his hand virtually and post the query. Spoken tutorials: Educational videos in over 18 Indian languages including Bodo, Khasi, Nepali. A low-bandwidth tool, this hosts tutorials on life skills too: from directions on how to book a rail ticket the IRCTC website or how to book an air ticket airline, to how to knot a tie. Robot control: Educational robots designed at IITB are used to teach principles of embedded software, algorithms incorporating artificial intelligence and data collection from various sensors. An application developed on Aakash allows the tablet to control the movement of the robot and see the video stream from a mounted camera, sent to it using WiFi. IT Bombay describes Aakash as an access device in which a Linux environment has been developed atop an Android operating system. Tailored compilers for C, C++, Python and Scilab are ported so that users can write and run programmes on the tablet, emphasising its use as a full-fledged computer. The Academic version of the Tablet costs $40 (Rs. 2,200). Tags:Aakash 2 Tablet, Aakash 2 Tablet features, Aakash 2 Tablet specifications, Aakash 2 Tablet review, Aakash 2 Tablet details, Aakash 2 Tablet availability, Aakash 2 Tablet specs, Aakash 2 Tablet images, Aakash 2 Tablet pics, Aakash 2 Tablet pictures, Aakash 2 Tablet price,UbiSlate 7Ci Tablet. LG Optimus G2 features 5.5-inch Full HD display with 1920 x 1080 pixel resolutions having 440 ppi. It is powered by quad-core 2GHz Snapdragon MSM8974 S4 Prime processor with Adreno 320 graphics. The Optimus G2 comes with 2GB of RAM and runs on Android 5.0 Key Lime Pie OS. It has 32GB of storage which can be expandable via microSD card slot. LG Optimus G2 sports 13MP rear camera with Autofocus, LED-flash and Full HD resolution and has a VGA front-facing web camera. 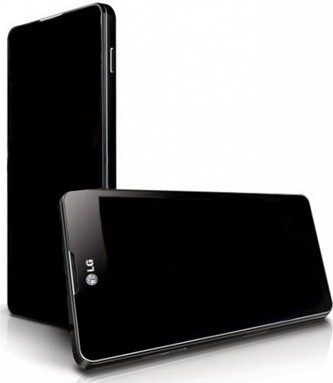 The LG Optimus G2 is expected in June 2013, price unknown currently. Tags:LG Optimus G2, LG Optimus G2 features, LG Optimus G2 specifications, LG Optimus G2 review, LG Optimus G2 details, LG Optimus G2 availability, LG Optimus G2 specs, LG Optimus G2 images, LG Optimus G2 pics, LG Optimus G2 pictures, LG Optimus G2 price. ZTE Nubia Z5 features 5-inch display with 1920 x 1080 pixel resolutions having 440 ppi.It is powered by Qualcomm quad-core 1.5GHz Snapdragon S4 Pro processor with Adreno 320 GPU. The Nubia Z5 runs on Android 4.1 Jelly Bean OS and equips 2GB of RAM. Nubia Z5 sports 13MP rear camera and comes with dual speakers. It is only 7.6mm thick. 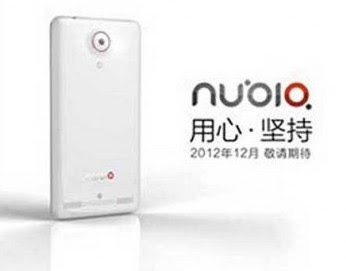 ZTE Nubia Z5 will be availale in China from 2012 December 25, currently no news about the price. Tags:ZTE Nubia Z5, ZTE Nubia Z5 features, ZTE Nubia Z5 specifications, ZTE Nubia Z5 review, ZTE Nubia Z5 details, ZTE Nubia Z5 availability, ZTE Nubia Z5 specs, ZTE Nubia Z5 images, ZTE Nubia Z5 pics, ZTE Nubia Z5 pictures, ZTE Nubia Z5 price. 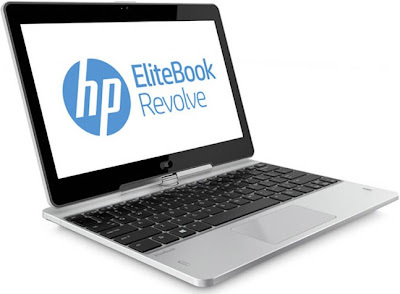 HP EliteBook Revolve features 11.6-inch touchscreen display with 1366 x 768 pixel resolutions having Gorilla Glass 2.It is powered by Intel Core Ivy Bridge i3/i5/i7 processor with 4GB RAM(expandable upto 12GB). It runs on Windows 7 or Windows 8 OS and has up-to 256GB SSD storage. Connectivity options includes a SIM slot supporting LTE in the U.S. and HSPA+ for other regions, Wi-Fi, Bluetooth and NFC. It supports TPM, an optional LTE/HSPA+ modem and a docking station. Expansion options includes two USB 3.0 ports, DisplayPort monitor outlet. HP EliteBook Revolve comes with a standard battery which claims a back up of upto 10Hrs. It weighs 1.36 gms and measures 0.86 inches thick. 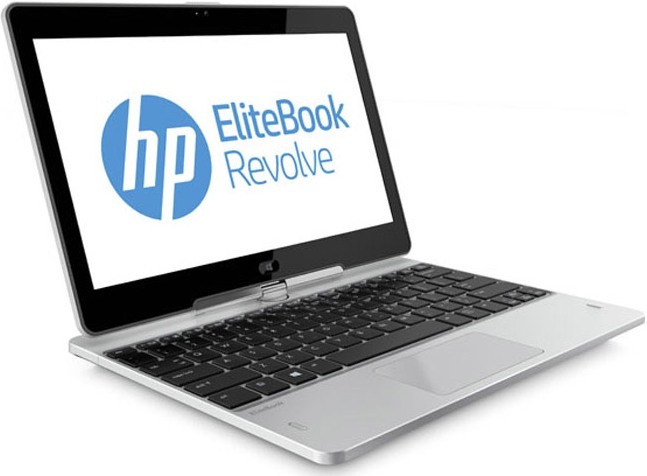 The EliteBook Revolve will be available from March 2013 and currently has no news about the price. Tags:HP EliteBook Revolve, HP EliteBook Revolve features, HP EliteBook Revolve specifications, HP EliteBook Revolve review, HP EliteBook Revolve details, HP EliteBook Revolve availability, HP EliteBook Revolve specs, HP EliteBook Revolve images, HP EliteBook Revolve pics, HP EliteBook Revolve pictures, HP EliteBook Revolve price, convertible laptops. The Nokia 114 is a Dual-SIM phone featuring 1.8-inch QVGA LCD display with 128 x 160pixel resolutions having 65K color screen. It comes with 16MB RAM and runs on Series 40 OS. It has 64MB of storage which can be expandable up to 32GB Via. microSD card. The Nokia 114 sports VGA camera capable of recording QCIF video. 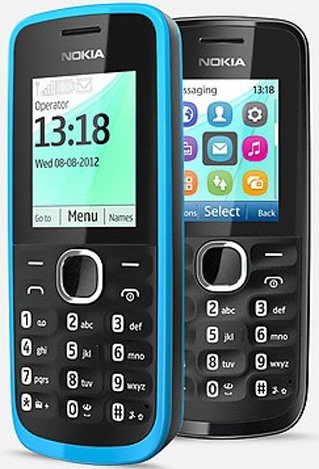 Nokia 114 has an inbuilt Bluetooth 2.1 and connectivity options includes 2G, GPRS,EGDE. It comes with Easy Swap dual sim slot and equips an alphanumeric keypad. Nokia 114 has a standard Li-Ion 1080mAh battery which delivers Up to 637 hrs of stand by and TALK TIME OF 10hrs 30 min. It has a dimension of 110 x 46 x 14.8 mm and weighs 80gms. Tags:Nokia 114, Nokia 114 features, Nokia 114 specifications, Nokia 114 review, Nokia 114 details, Nokia 114 availability, Nokia 114 specs, Nokia 114 images, Nokia 114 pics, Nokia 114 pictures, Nokia 114 price. Karbonn A1+ features 3.5 inch display and is powered by 1GHz processor. It runs on Android 2.3.6 Gingerbread OS. 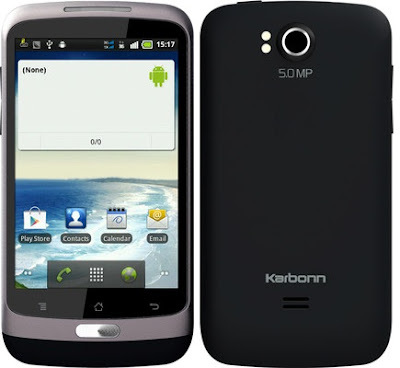 Karbonn A1+ sports 3MP rear camera. Other features includes 3G, WiFi, proximity sensor. It comes with standard 1500mAh battery. 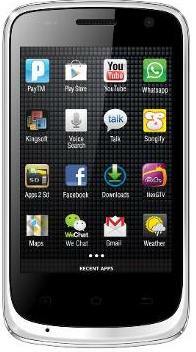 Karbonn A1+ comes with a price tag of Rs.4290 INR. Tags:Karbonn A1+, Karbonn A1+ features, Karbonn A1+ specifications, Karbonn A1+ review, Karbonn A1+ details, Karbonn A1+ availability, Karbonn A1+ specs, Karbonn A1+ images, Karbonn A1+ pics, Karbonn A1+ pictures, Karbonn A1+ price. 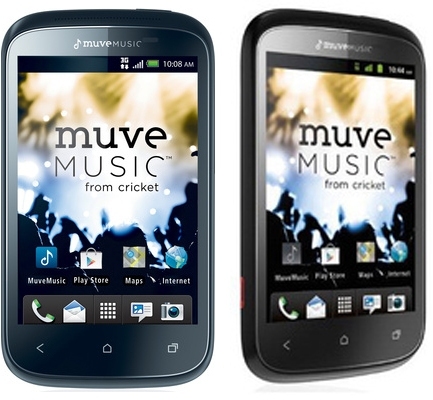 Cricket HTC Desire C features 3.5-inch TFT full touch HVGA display with 480 x 320 pixel resolutions. It is powered by 600MHz processor with 512MB RAM. The HTC Desire C runs on Android 4.0 Ice Cream Sandwich OS with HTC Sense 4.0UI and has 4GB of storage expandable up to 32GB Via. microSD card. Cricket HTC Desire C sports 5MP rear camera. It has a dimension of 4.8 x 2.4 x 0.5 inches and weighs 3.5 pounds. Connectivity options includes Bluetooth and Wi-Fi. It comes with Beats Audio sound enhancement. Cricket HTC Desire C comes with a standard 1,230mAh battery which claims a back up of upto 6Hrs Talktime and upto 450Hrs Standby. Cricket HTC Desire C comes with a price tag of $179.99 USD. Tags:Cricket HTC Desire C, Cricket HTC Desire C features, Cricket HTC Desire C specifications, Cricket HTC Desire C review, Cricket HTC Desire C details, Cricket HTC Desire C availability, Cricket HTC Desire C specs, Cricket HTC Desire C images, Cricket HTC Desire C pics, Cricket HTC Desire C pictures, Cricket HTC Desire C price. Nokia 109 features 1.8-inch TFT display with 128 x 160 pixel resolutions. It comes with a standard battery which claims a back up of upto 7.5Hrs Talktime and upto 33 days Standby. 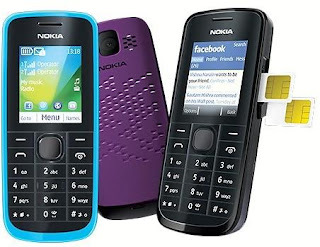 Other features includes FM radio, a microSD card slot provides up to 32 GB, GSM/EDGE, Nokia Xpress browser with access to Twitter and Facebook. Color Options includes black or blue. The Nokia 109 comes with a price tag of $42 USD and will be available in Europe, Asia and China soon. Tags:Nokia 109, Nokia 109 features, Nokia 109 specifications, Nokia 109 review, Nokia 109 details, Nokia 109 availability, Nokia 109 specs, Nokia 109 images, Nokia 109 pics, Nokia 109 pictures, Nokia 109 price. Lenovo S560 features 4-inch capacitive multi-touch IPS display with 800 x 480 pixel resolutions. It is powered by 1GHz dual-core ARM Cortex-A9 processor with PowerVR SGX531 GPU and 512 MB RAM. Lenovo S560 runs on Android 4.0 Ice Cream Sandwich OS and has 4GB of storage expandable up to 32GB Via. microSD card. 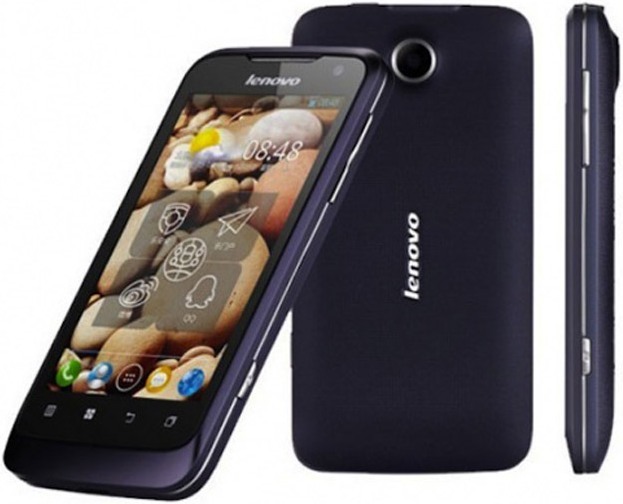 Lenovo S560 sports 5MP auto focus rear camera and has 0.3MP front-facing web camera. Connectivity options includes Wi-Fi, Bluetooth, GPS. Other features includes FM radio, micro USB 2.0 port, 3.5 mm audio port. Lenovo S560 comes with standard 2000mAh battery. It weighs 155 gms and measures 125 x 63 x 12.5mm thick. Lenovo S560 comes with a price tag of $269 USD or Rs. 14,499 INR and will be available in India soon. Tags:Lenovo S560, Lenovo S560 features, Lenovo S560 specifications, Lenovo S560 review, Lenovo S560 details, Lenovo S560 availability, Lenovo S560 specs, Lenovo S560 images, Lenovo S560 pics, Lenovo S560 pictures, Lenovo S560 price. 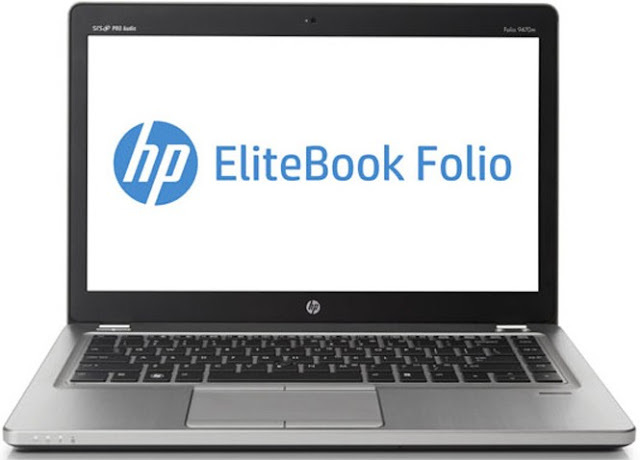 HP EliteBook Folio features 14-inch matte display with 1366 x 768 pixel resolutions. It is powered by Intel Core Ivy Bridge processor. It runs on Windows 8 OS and includes three USB 3.0 ports and VGA & Display port. 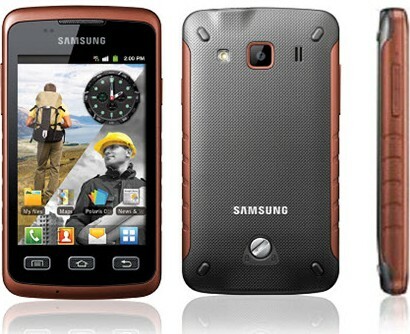 It comes with a removable 52 Whr battery(upgrade to 60 Whr) with back-up of 20 hours. HP EliteBook Folio 9470m comes with a price tag of $1049 USD and will be available form 2 November 2012. Tags:HP EliteBook Folio 9470m, HP EliteBook Folio 9470m features, HP EliteBook Folio 9470m specifications, HP EliteBook Folio 9470m review, HP EliteBook Folio 9470m details, HP EliteBook Folio 9470m availability, HP EliteBook Folio 9470m specs, HP EliteBook Folio 9470m images, HP EliteBook Folio 9470m pics, HP EliteBook Folio 9470m pictures, HP EliteBook Folio 9470m price. 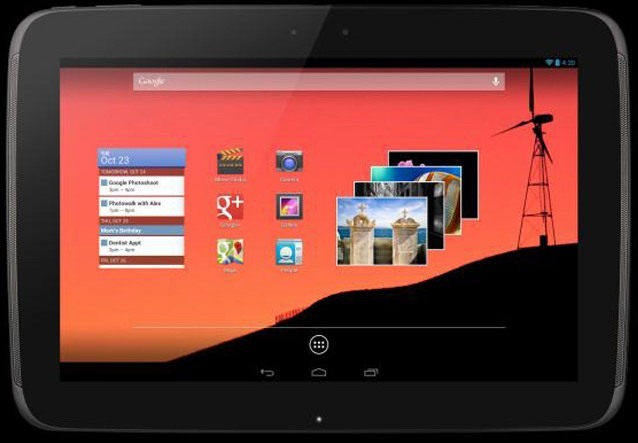 Google Nexus 10 features 10-inch display having 300 PPI with 2560 x 1600 pixel resolutions. It is powered by 1.7GHz dual-core Samsung Exynos 5250 processor with 2GB RAM and Mali T604 GPU. Google Nexus 10 runs on Android 4.2 Jelly Bean OS and comes with (16/32)GB of non-expandable storage. The Nexus 10 sports 5MP rear camera and has 1.9 MP front-facing web camera. Connectivity options includes Wi-Fi, two NFC chips, MicroUSB and microHDMI slots . It comes with front-facing stereo speakers. The Nexus 10 comes with a standard battery which delivers up to 9 hours of video playback. It weighs 604 gms. The Google Nexus 10 Tablet comes with a price tag of $400 USD for 16 GB version, 32 GB version for $500 USD and is available currently. Tags:Google Nexus 10, Google Nexus 10 features, Google Nexus 10 specifications, Google Nexus 10 review, Google Nexus 10 details, Google Nexus 10 availability, Google Nexus 10 specs, Google Nexus 10 images, Google Nexus 10 pics, Google Nexus 10 pictures, Google Nexus 10 price. Huawei Honor 2 features 4.5-inch display having 326 PPI with pixel resolutions. It is powered by 1.4 GHz quad-core Huawei K3V2 processor with 2GB RAM. The Honor 2 comes with 8GB of storage. It sports 8MP rear camera with burst shots, full HD video capture. It comes with a standard battery which claims up to 72 hours in stand-by mode. The Huawei Honor 2 comes with a price tag of around 190 GBP and is available in china currently. Tags:Huawei Honor 2, Huawei Honor 2 features, Huawei Honor 2 specifications, Huawei Honor 2 review, Huawei Honor 2 details, Huawei Honor 2 availability, Huawei Honor 2 specs, Huawei Honor 2 images, Huawei Honor 2 pics, Huawei Honor 2 pictures, Huawei Honor 2 price. 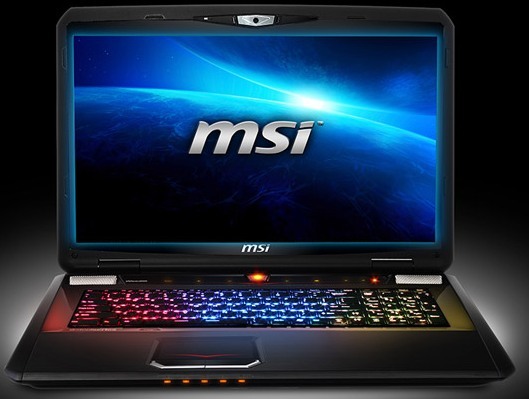 MSI GT70 ONE features 17.3-inch Full HD display with 1920 x 1080pixel resolutions. It is powered by Intel Core i7 Ivy Bridge processor with GeForce GTX 680M GPU having 4GB of VRAM and has16GB (4GB x 4) DDR3 RAM. 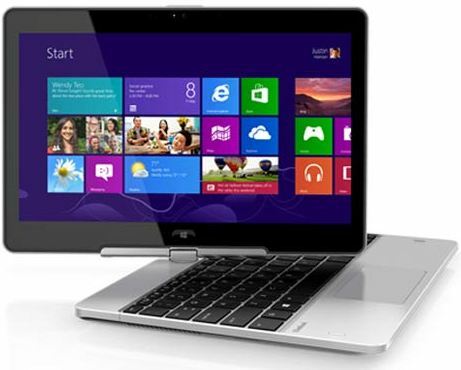 It runs on Windows 8 OS and comes with 750GB GB of storage with option for Super RAID 2 SSD(128GB SSD + 128GB SSD). It comes with Wi-Fi 802.11b/g/n connectivity. Other features includes Blu-Ray Burner, SteelSeries keyboard and Killer E2200 game networking. MSI GT70 ONE comes with a price tag of $1,349.99 USD and is available in US currently. 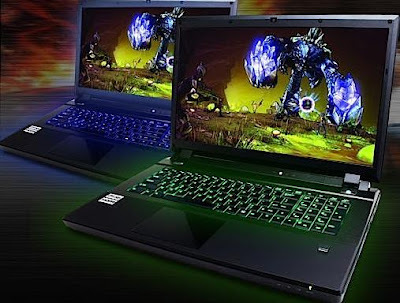 Tags:MSI GT70 ONE, MSI GT70 ONE features, MSI GT70 ONE specifications, MSI GT70 ONE review, MSI GT70 ONE details, MSI GT70 ONE availability, MSI GT70 ONE specs, MSI GT70 ONE images, MSI GT70 ONE pics, MSI GT70 ONE pictures, MSI GT70 ONE price. LG Nexus 4 features 4.7-inch True HD IPS+ Corning Gorilla Glass 2 display with 1280 x 768 pixel resolutions having 320 PPI and has support for Zerogap Touch technology. It is powered by 1.5 GHz quad-core Qualcomm Snapdragon S4 Pro processor with 2 GB RAM. Nexus 4 runs on Android 4.2 Jelly Bean OS with (8/16)GB of non-expandable storage. LG Nexus 4 sports 8MP rear camera and has 1.3MP front-facing web camera. Connectivity options includes HSPA+ and NFC. It comes with standard 2100mAh wireless chargable battery which claims a back up of upto 15Hrs Talktime and upto 300Hrs Standby. The LG Nexus 4 smartphone comes with a price tag of $299 USD for 8 GB version, 16 GB version for $349 USD and will be available from November 13 2012. 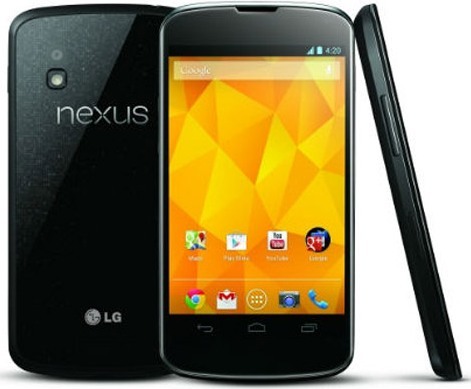 Tags:LG Nexus 4, LG Nexus 4 features, LG Nexus 4 specifications, LG Nexus 4 review, LG Nexus 4 details, LG Nexus 4 availability, LG Nexus 4 specs, LG Nexus 4 images, LG Nexus 4 pics, LG Nexus 4 pictures, LG Nexus 4 price. 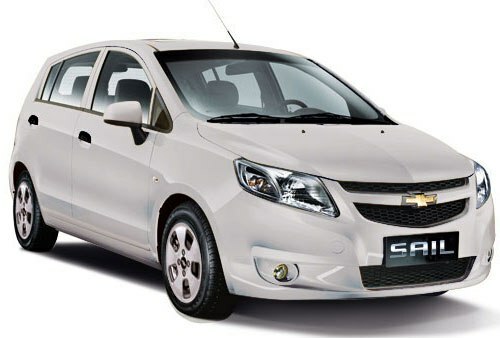 The Chevrolet Sail comes in two trims(in global market) for the pertol engine and one trim for diesel engine. 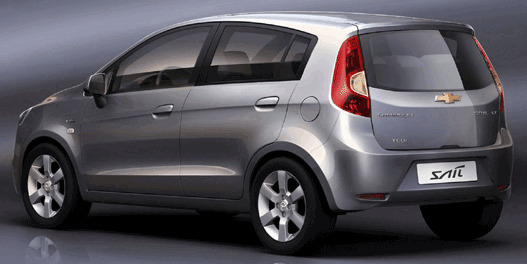 The two trims of petrol engine are 1.2 litre S-TEC II(available in India) and a 1.4 Litre of S-TEC II. the diesel engine is 1.3 litre of multi jet. Both have five speed manual transmission gear box. The 1.2 litre S-TEC II MPFI 1199cc 4 Cylinder 16 Valve petrol engine delivers a Max Power of 85BHp @ 6000rpm and a Max Torque of 113Nm. It provides a mileage of 15 Kmpl in city and 18.2 Kmpl in Highway. The 1.3 litre multi jet 4 pot 1248cc 4 Cylinder 16 Valve diesel engine delivers a Max Power of 77BHp @ 4000rpm and a Max Torque of 205Nm. It provides a mileage of 18 Kmpl in city and 22.1 Kmpl in Highway. Exterior features includes hawk-wing headlamps. shooting-star style fog lamps. wider tires and gas-filled front and rear shock absorbers. Safety features includes engine immobilizer. central door locking and speed-sensitive automatic door locks. Three of the four versions will come with air bags. while anti-lock brakes with EDB will be offered in the top two versions. 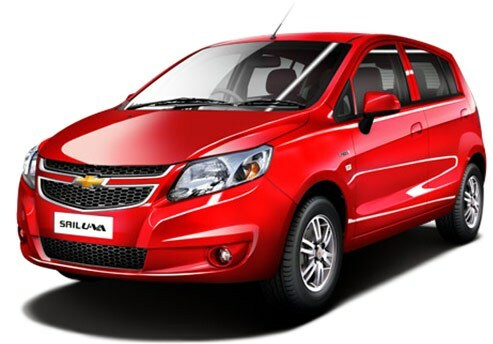 The pricing of the Chevrolet Sail UVA versions is as follows. Tags:- Chevrolet Sail UVA details, Chevrolet Sail features, Chevrolet Sail UVA specs, Chevrolet Sail UVA launch, Chevrolet Sail UVA mileage, Chevrolet Sail UVA india price, Chevrolet Sail UVA india details, Chevrolet Sail india varients price, Chevrolet Sail UVA variants,Chevrolet Sail UVA pics, Chevrolet Sail pictures, Chevrolet Sail UVA images, Chevrolet Sail UVA trim levels. ASUS ROG G46VW Gaming Laptop features 14-inch display. It is powered by Intel Core i7/i5 Ivy Bridge processor with NVIDIA GeForce GTX 660M GPU with 2 GB GDDR5 VRAM and has up to 16GB of DDR3 RAM. 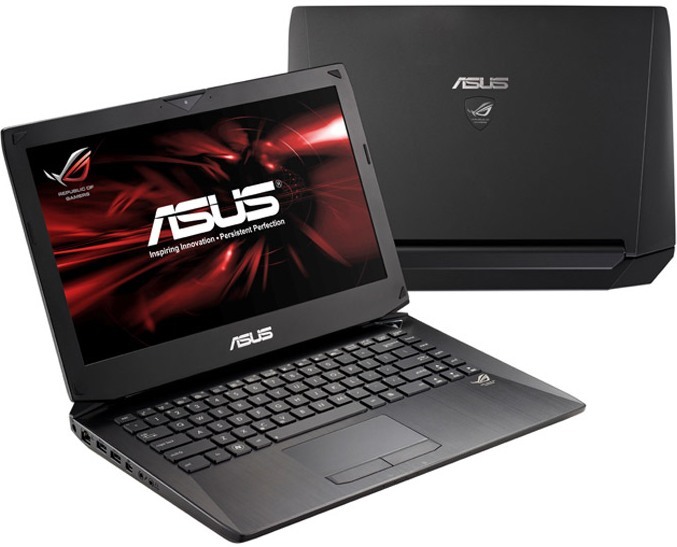 ASUS ROG G46VW has storage options including one mSATA SSD and one 2.5-inch HDD or hybrid HDD. It comes with Optimus technology that enables six hours battery back-up and has up to 14-day standby. Connectivity features includes Gigabit Ethernet, 802.11n/ac, Bluetooth 4.0, HD video camera and array mic, 2.0 stereo speakers, three USB 3.0 ports, a card reader, a VGA port, 3D support via HDMI 1.4 and DisplayPort 1.2, and optional Thunderbolt. Other features includes 2-second resume, plus automatic file backups, ASUS SonucMaster audio for great audio experience ,backlit keyboard, dual large rear-venting exhausts with two fans that provide cool and stable performance. Tags:ASUS ROG G46VW, ASUS ROG G46VW features, ASUS ROG G46VW specifications, ASUS ROG G46VW review, ASUS ROG G46VW details, ASUS ROG G46VW availability, ASUS ROG G46VW specs, ASUS ROG G46VW images, ASUS ROG G46VW pics, ASUS ROG G46VW pictures, ASUS ROG G46VW price. 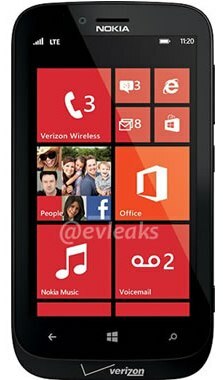 Nokia Lumia 822 features 4.3-inch ClearBlack OLED display with 800x480 pixel resolutions. It is powered by 1.5GHz dual-core Qualcomm Snapdragon S4 processor. Nokia Lumia 822 sports 8MP rear camera with Carl Zeiss optics, 1080p video support and VGA front-facing web camera. It comes with 16GB of storage and has 4G LTE support. Nokia Lumia 822 comes with a price tag of $99 with a new two-year contract from verizon and will be availabile from the holiday season in US. Tags:Nokia Lumia 822, Nokia Lumia 822 features, Nokia Lumia 822 specifications, Nokia Lumia 822 review, Nokia Lumia 822 details, Nokia Lumia 822 availability, Nokia Lumia 822 specs, Nokia Lumia 822 images, Nokia Lumia 822 pics, Nokia Lumia 822 pictures, Nokia Lumia 822 price. Zync Z1000 Tablet features 9.7-inch IPS panel 5-point multi-touch Capacitive HD display with 1024x768pixel resolutions. It is powered by 1.5GHz ARM Cortex A8 processor with 1GB RAM. The Z1000 Tablet runs on Android 4.0 Ice Cream Sandwich(Jelly Bean upgradable) OS and comes with 8GB of storage expandable up to 32GB Via. microSD card. Z1000 Tablet sports 2MP rear camera and 0.3MP front-facing web camera. It comes with standard 7000mAh battery. Connectivity options includes 3G, Wi-Fi, SIM card slot, mini HDMI port, 2 micro USB ports, 3.5 mm Earphone Jack and a DC port. Other features includes freebies worth Rs.1350 like Lycra Pouch, Screen Protector, ear phones and a Big Flix 1 Month Subscription. 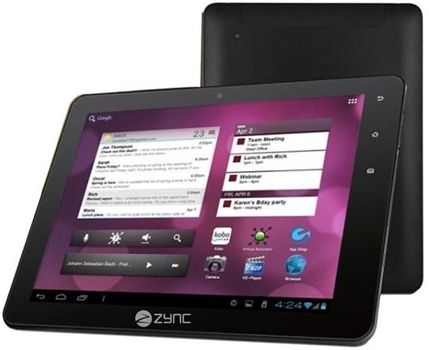 Zync Z1000 Tablet comes with a price tag of Rs 10,990 INR. Tags:Zync Z1000 Tablet, Zync Z1000 Tablet features, Zync Z1000 Tablet specifications, Zync Z1000 Tablet review, Zync Z1000 Tablet details, Zync Z1000 Tablet availability, Zync Z1000 Tablet specs, Zync Z1000 Tablet images, Zync Z1000 Tablet pics, Zync Z1000 Tablet pictures, Zync Z1000 Tablet price. iBall Slide 3G 7334 features 7-inch Capacitive multi-touch HD display with WSVGA 1024 x 600pixel resolutions. It is powered by 1GHz Cortex A9 processor. iBall Slide 3G runs on Android 4.0 Ice Cream Sandwich OS and has 8GB of storage which can be expandable up to 32GB Via. microSD card. The Slide 3G 7334 sports 2MP rear camera which supports multi-shot functions, 360-degree panoramic photography and it also comes with VGA front-facing web camera which helps in 3G video calling. Other features of Slide 3G 7334 includes dual-SIM both supporting 3G, GPS with A-GPS, FM support. iBall Slide 3G 7334 comes with a price tag of Rs.10,999 INR. Tags:iBall Slide 3G 7334, iBall Slide 3G 7334 features, iBall Slide 3G 7334 specifications, iBall Slide 3G 7334 review, iBall Slide 3G 7334 details, iBall Slide 3G 7334 availability, iBall Slide 3G 7334 specs, iBall Slide 3G 7334 images, iBall Slide 3G 7334 pics, iBall Slide 3G 7334 pictures, iBall Slide 3G 7334 price. 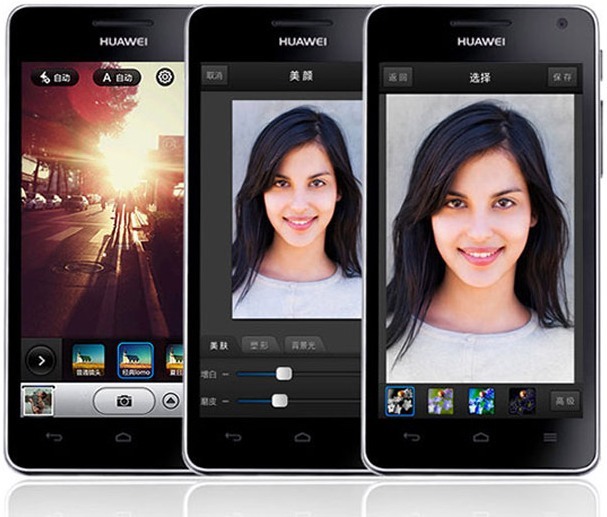 Huawei Ascend Mate features 6.1-inch Full HD display with 1920x1080 pixel resolutions. It is powered by 1.8 GHz quad-core ARM Cortex-A9 processor with PowerVR SGX 543 GPU and has 2GB RAM. The Ascend Mate runs on Android 4.1 Jelly Bean OS with Huawei Emotion 1.5 UI and has 32GB of storage. Huawei Ascend Mate comes with standard 4000 mAh battery and it measures 9.9mm thick. 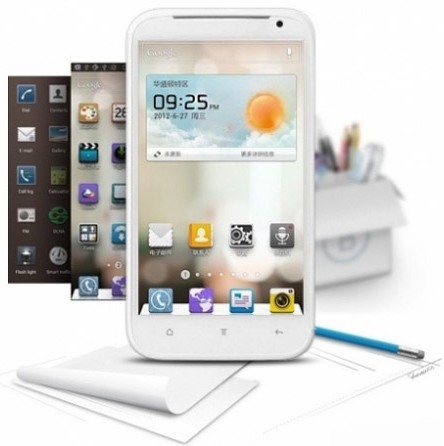 Tags:Huawei Ascend Mate, Huawei Ascend Mate features, Huawei Ascend Mate specifications, Huawei Ascend Mate review, Huawei Ascend Mate details, Huawei Ascend Mate availability, Huawei Ascend Mate specs, Huawei Ascend Mate images, Huawei Ascend Mate pics, Huawei Ascend Mate pictures, Huawei Ascend Mate price. 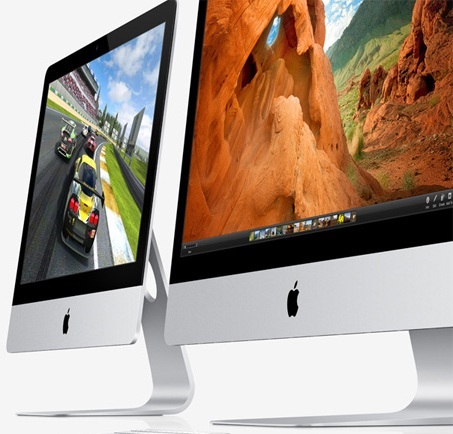 Apple iMac 2012 comes in two versions having screen sizes of 21.5-inch and 27-inch of top-quality IPS displays. The 21.5-inch iMac uses Full HD 1,920 x 1,020 pixel resolution and the 27-inch has 1,560 x 1,440 pixel resolutions. 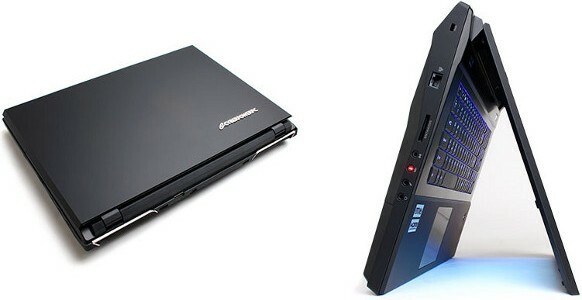 The 21.5-inch weighs 5.7kgs and the 27-inch weighs 9.5kgs. These iMac's comes with 8GB RAM, i5 processors and up to 3TB of storages. It will be available from December 2012. Common Features are SDXC memory card slot, Four USB 3.0 ports plus integrated Wi-Fi, Bluetooth 4.0, Wireless keyboard and Magic Mouse. 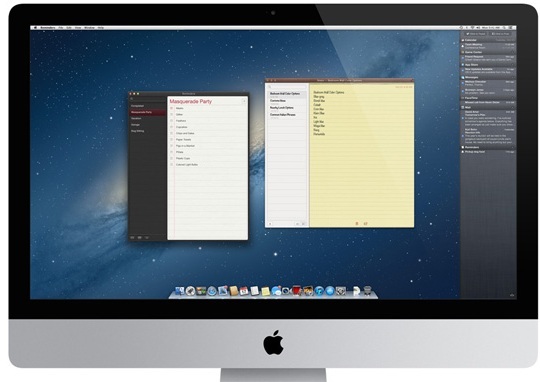 The 27-inch versions are more easily expandable with two user-accessible memory slots. Baseline models features 1TB of storage, higher-end models can upgrade to 3TB hard drive, 768GB of flash storage or one of Apple's new Fusion drives i.e, a 128GB SSD and a 1TB/3TB hard drive. 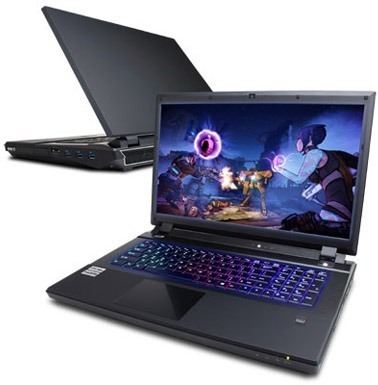 The higher-end 21.5-inch model has a price tag of £1,249 which comes with powerful 2.9GHz Core i5 processor and the GeForce GT 650M graphics card. The base 27-inch model has a price tag of £1,499 which comes with 2.9GHz Core i5 processor and GeForce GT 660M graphics card. The higher-end 7-inch model has a price tag of £1,699 which comes with 3.2GHz Core i5 processor and GeForce GTX 675M graphics card. Tags: Apple iMac 2012, Apple iMac 2012 features, Apple iMac 2012 specifications, Apple iMac 2012 review, Apple iMac 2012 details, Apple iMac 2012 availability, Apple iMac 2012 specs, Apple iMac 2012 images, Apple iMac 2012 pics, Apple iMac 2012 pictures, Apple iMac 2012 price. 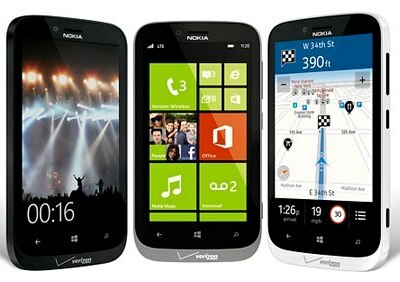 Nokia Lumia 510 features 4-inch display with 800 x 480 pixel resolutions and is powered by Qualcomm Snapdragon S1 processor with 256MB RAM. The Lumia 510 runs on Windows Phone 7.5 Mango OS. It comes with 4GB of storage with 7GB of cloud storage on Microsoft SkyDrive and has microSD card slot for storage expansion. Nokia Lumia 510 sports 5MP rear camera with auto focus and has a front-facing VGA web camera and is capable of recording video @ 30FPS. It weighs 129gms. Connectivity options includes 3G/4G, Wi-Fi, Bluetooth 2.1, GPS, GPRS, EDGE and Built-in FM radio. Color Options includes red, white, yellow, black and cyan. 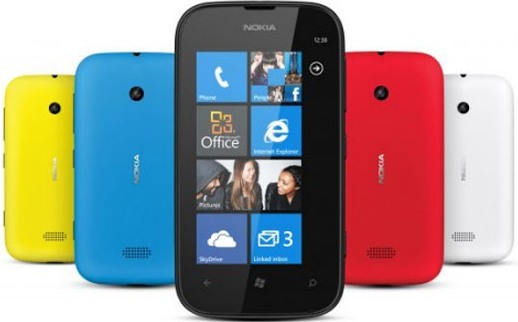 Nokia Lumia 510 comes with a price tag of $200 USD and will be available in India, China, South America and Asia in mid November 2012. Tags:Nokia Lumia 510, Nokia Lumia 510 features, Nokia Lumia 510 specifications, Nokia Lumia 510 review, Nokia Lumia 510 details, Nokia Lumia 510 availability, Nokia Lumia 510 specs, Nokia Lumia 510 images, Nokia Lumia 510 pics, Nokia Lumia 510 pictures, Nokia Lumia 510 price. iPad mini features 7.85-inch IPS panel Multi-Touch display with 1024 x 768pixel resolutions and pixel density of 163dpi. It comes with Anodised aluminium with black anodised option. 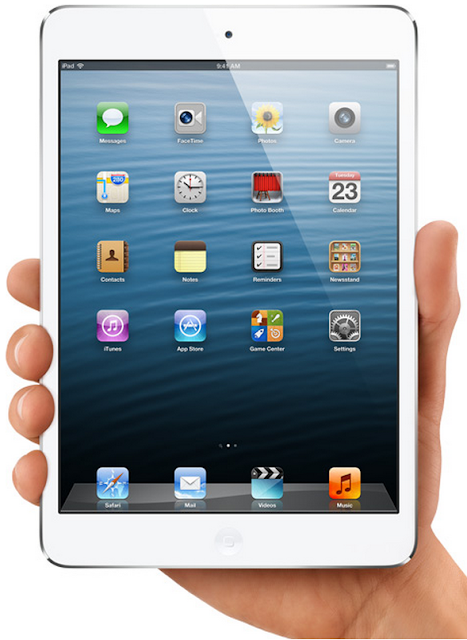 The iPad mini is powered by Dual-core A5 chip processor and runs on Apple iOS 6 OS. It has non expandable storage options of 16/32/64 GB. It is compatible only with Nano-SIM cards. iPad mini sports 5MP rear camera capable of 1080p video recording with Autofocus, Face detection and has a 1.2MP front-facing web camera capable of 720p video recording. Connectivity options includes 4G/3G + Wi-Fi and Wi-Fi only options, Bluetooth 4.0, headphone jack, Lightning connector. 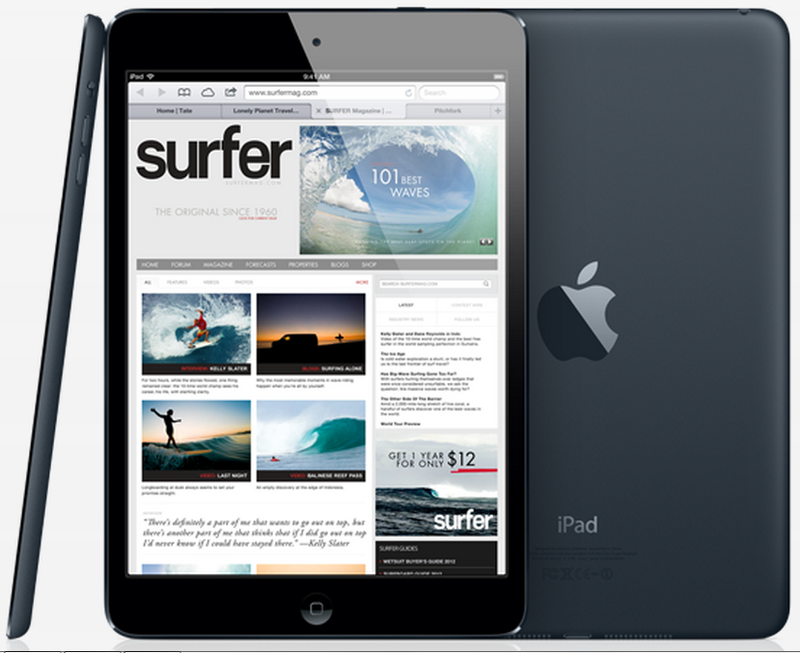 iPad mini delivers 10 hours of battery life on Wi-Fi. It weighs 308gms(Wi-fi only vesion) and measures 7.2mm thick. It comes with Siri Intelligent assistant, has Fingerprint-resistant oleophobic coating. Tags:iPad mini, iPad mini features, iPad mini specifications, iPad mini review, iPad mini details, iPad mini availability, iPad mini specs, iPad mini images, iPad mini pics, iPad mini pictures, iPad mini price. LG Optimus Vu Phablet features 5-inch TRUE-XGA IPS display with 1024 X 768 pixel resolutions and is powered by 1.5GHz quad-core processor with 1GB RAM. Optimus Vu sports 8MP CMOS Auto focus rear camera with LED flash and 1.3MP front-facing web camera. It runs on Android 4.0.4 Ice Cream Sandwich OS and comes with 32GB of storage. Connectivity options includes Wi-Fi, 3G, Bluetooth 4.0, HDMI, DLNA, NFC and A-GPS. It comes with standard 2080mAh battery which claims a back up of upto 15Hrs Talktime in 3G. The Optimus Vu Phablet has a price tag of Rs. 34,500 INR and is currently available in India. 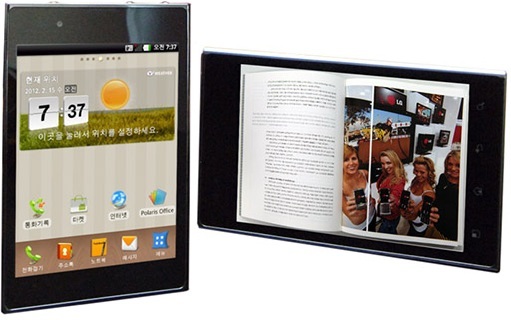 Tags: smartphone-tablet hybrid, Phablet, LG Optimus Vu , LG Optimus Vu features, LG Optimus Vu specifications, LG Optimus Vu review, LG Optimus Vu details, LG Optimus Vu availability, LG Optimus Vu specs, LG Optimus Vu images, LG Optimus Vu pics, LG Optimus Vu pictures, LG Optimus Vu price. Karbonn A7+ Dual SIM Smartphone features 3.5 inch Capacitive multi-touch display with HVGA 320 x 480pixel resolutions.It is powered by single-core 1GHz processor with Adreno 200 GPU and 512MB RAM. Karbonn A7+ runs on Android 2.3.6 Gingerbread OS and has 157MB of storage which can be expandable up to 32GB Via. microSD card. The A7+ sports 5MP rear camera with dual LED flash and VGA front-facing web camera. Connectivity options includes Wi-Fi, Wi-Fi Hotspot, Bluetooth v2.1, 3G, micro USB 2.0. It comes with standard 1420mAH Li-ion battery and has a black color panel at the back. 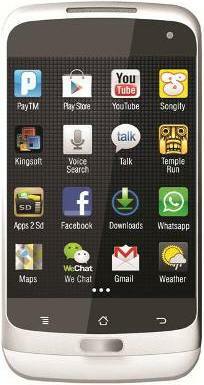 Karbonn A7+ Dual SIM Smartphone comes with a price tag of Rs 6990 INR. Tags:Karbonn A7+, Karbonn A7+ features, Karbonn A7+ specifications, Karbonn A7+ review, Karbonn A7+ details, Karbonn A7+ availability, Karbonn A7+ specs, Karbonn A7+ images, Karbonn A7+ pics, Karbonn A7+ pictures, Karbonn A7+ price. Blu Dash 3.5 dual SIM Smartphone features 3.5-inch capacitive touchscreen display with 320 x 480 pixel resolutions. It is powered by 1GHz Qualcomm processor with 256MB RAM. The Dash 3.5 runs on Android 2.3.5 Gingerbread OS and comes with 512MB of storage(4 GB card in the package) and is expandable Via. microSD card. 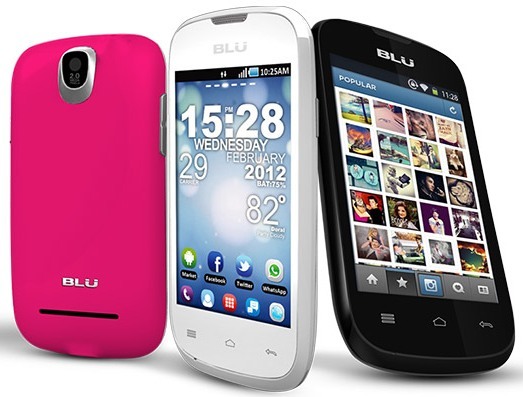 Blu Dash 3.5 sports 2MP rear camera and has a 3.5mm jack. Color Options includes black and white with back covers in Pink, Blue, Green and Yellow. Connectivity options includes 3G HSDPA and quad-band GSM, EDGE, Wi-Fi, Bluetooth 3.0, GPS. 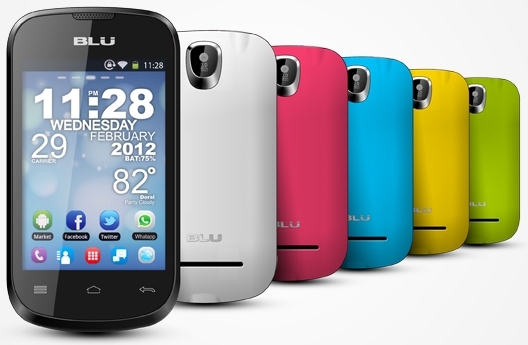 Blu Dash 3.5 comes with a price tag of $99.99 USD and available in US, UK and Latin America. Tags:Blu Dash 3.5, Blu Dash 3.5 features, Blu Dash 3.5 specifications, Blu Dash 3.5 review, Blu Dash 3.5 details, Blu Dash 3.5 availability, Blu Dash 3.5 specs, Blu Dash 3.5 images, Blu Dash 3.5 pics, Blu Dash 3.5 pictures, Blu Dash 3.5 price. 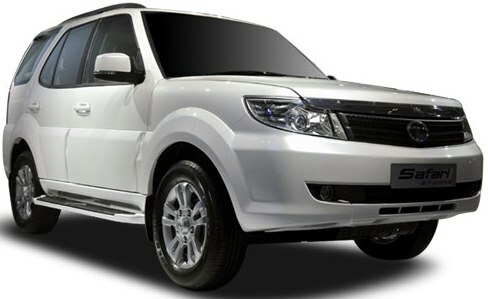 Tata Safari Storme SUV comes in four variants with two wheel drive and four wheel drive(only for VX 4WD varient) option. It comes with G76 (Mark II) 5 speed manual transmission gearbox for better gear shifts. The 2179cc 2.2-litre 4 Cylinder 16 Valve DOHC DiCOR diesel engine which delivers a Max Power of 138BHp @ 4000 rpm and Max Torque of 320Nm @ 1700rpm. The Storme can accommodate seven adults comfortably. Safety features includes 6 airbags, 4 channel ABS with ESC and EBD, vacuum assisted independent hydraulic and ventilated disc brakes on all four- wheels, inertia switch (activates automatically in emergency) and an auto engine immobilizer. Exterior features includes Fresh wide grille, wraparound PES headlamps with projectors, thick chrome band on radiator grille, newly designed front bumper with round fog lamps. Comfort features includes tilt-adjust (collapsible steering column), reclining front bucket seats with fore/aft adjustment position and lumbar support, integrated 12V-gadget charging points are available on first, second and third row seats equipped with a dual-AC with a separate integrated roof mounted blower for rear passengers. Other features includes power windows, remote fuel filler, remote central locking, Remote boot and MP3 DVD player, tinted glass, ORVM indicator, rear wiper, electric door side mirrors and rear defogger, five twin spoke alloy wheels. The Storme from Safari delivers a mileage of 10.8 - 14.0 kmpl for two wheel drive options and 13.2 Kmpl for 4-wheel drive variant in Highways. 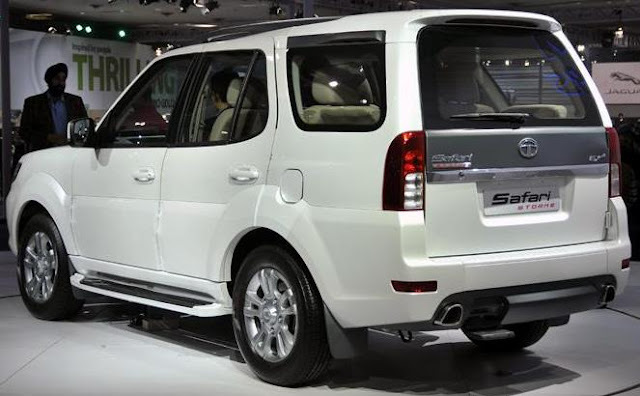 Safari Storme SUV comes in Tata Safari Storme LX ,Tata Safari Storme EX,Tata Safari Storme VX,Tata Safari Storme VX 4WD variants with ex-showroom Delhi price of Rs 9.95 lakh for LX version and up to Rs 13.66 lakh for tVX 4WD version. Tags:- Safari Storme details, Safari Storme features, Safari Storme specs, Safari Storme launch, Safari Storme mileage, Safari Storme india price, Safari Storme india details, Safari Storme india varients price, Safari Storme variants,Safari Storme pics, Safari Storme pictures, Safari Storme images, Safari Storme trim levels. Acer Iconia A110 Tablet features 7-inch display with 1024 x 600 pixel resolutions. It is powered by quad-core NVIDIA Tegra 3 processor with 1GB RAM. The Iconia A110 Tab runs on Android 4.1 Jelly Bean OS and comes with 8GB of storage which is expandable up to 32GB Via. microSD card. Iconia A110 sports 2MP front-facing web camera and has microHDMI output with support for dual displays and Bluetooth 3.0. It is less than half inch thick and weighs 0.86 pounds. It has a battery back up of up to 7.5 hours. Acer Iconia A110 comes with a price tag of $230USD and will be availabile from October 30 2012 in US and Canada. Tags:Acer Iconia A110, Acer Iconia A110 features, Acer Iconia A110 specifications, Acer Iconia A110 review, Acer Iconia A110 details, Acer Iconia A110 availability, Acer Iconia A110 specs, Acer Iconia A110 images, Acer Iconia A110 pics, Acer Iconia A110 pictures, Acer Iconia A110 price. The Asus Padfone 2 smartphone features 4.7-inch Corning Fit Glass Super IPS Plus display with 720p resolution having IGZO technology(up to 550nits brightness). It is powered by 1.5GHz quad-core Qualcomm Snapdragon APQ8064 processor along with 2GB RAM. 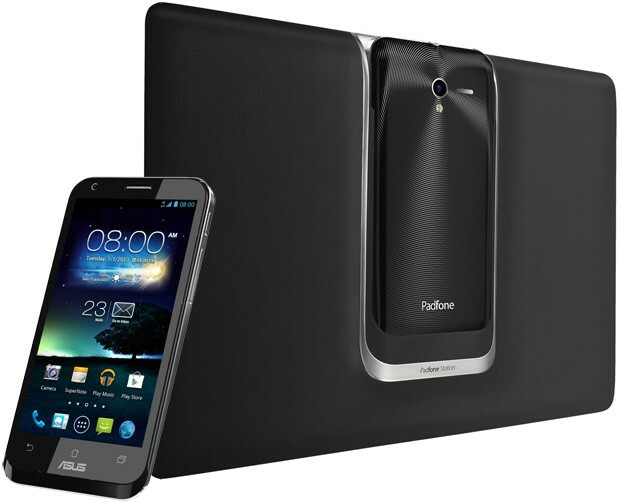 Asus Padfone 2 sports 13MP rear camera with BSI sensor having f/2.4 lens and 1.2MP front-facing web camera. It runs on Android 4.0 Ice Cream Sandwich (Android 4.1 Jelly Bean update soon) OS. PadFone 2 will be using micro-SIMs and has 50GB of ASUS WebStorage for two years. Connectivity options includes NFC, Wi-Fi, Bluetooth 4.0 and LTE capabilities. Asus Padfone 2 comes with a standard 2140mAh battery. It has a dimension of 137.9 x 68.9 x 9 mm and weighs 135gms. The Tablet dock or the PadFone slate features 10.1-inch IPS display with 1280 x 800 resolution. It comes with standard 5000mAh battery and the dock alone weighs 514gms. Both the phone and the tablet comes with a 13-pin connector. Color options of both the phone and Dock includes black and white. The Padfone 2 SmartPhone comes in 16 GB, 32 GB and 64 GB of storage with price tag ranges from $620 USD and $750 USD. The tablet itself costs $310 USD but when bought with ASUS phone the tablet goes down to $210 USD. The Padfone 2 black colored version is available in Taiwan now will be available in Europe and Asia from December 2012. Tags:Asus Padfone 2, Asus Padfone 2 features, Asus Padfone 2 specifications, Asus Padfone 2 review, Asus Padfone 2 details, Asus Padfone 2 availability, Asus Padfone 2 specs, Asus Padfone 2 images, Asus Padfone 2 pics, Asus Padfone 2 pictures, Asus Padfone 2 price. Samsung Galaxy Rugby is IP67 certified which will protect it against immersion between 15 cm and 1 meter of water for up to 30 minutes. Samsung Galaxy Rugby features 4-inch Super AMOLED display with 480 x 800pixel resolutions and is powered by 1.5GHz dual-core processor. The Galaxy Rugby will runs on Android 4.0 Ice Cream Sandwich OS. Rugby sports 5MP rear camera and 1.3MP front-facing web camera. Connectivity option includes 3G, DLNA, NFC with S-Beam. It comes with a standard 1850mAh battery which claims a back up of upto 4Hrs Talktime in 2G mode and upto 3Hrs Talktime in 3G mode upto, also has 400Hrs Standby. It has a dimension of 121.5 x 65.9 x 11.9mm and weighs 161gms. Tags:Samsung Galaxy Rugby, Samsung Galaxy Rugby features, Samsung Galaxy Rugby specifications, Samsung Galaxy Rugby review, Samsung Galaxy Rugby details, Samsung Galaxy Rugby availability, Samsung Galaxy Rugby specs, Samsung Galaxy Rugby images, Samsung Galaxy Rugby pics, Samsung Galaxy Rugby pictures, Samsung Galaxy Rugby price. The Fang III Taipan features 17.3-inch display with 1920 x 1080pixel resolutions. It is powered by quad-core Intel Core i7-3630QM/3.0GHz Intel Core i7-3940XM processor with (16/32) GB of DDR3 RAM, two NVIDIA GeForce GTX 670M/680M GPUs. The storage options includes either 60GB SSD and 1TB HDD or two 512 GB SSD. It runs on Windows 8 OS. It has a dimension of 16.5 inches x 11.54 inches x 1.55 inches and weighs 8.6 pounds with single GPU. Connectivity options includes built-in Gigabit Ethernet LAN and an internal 802.11 b/g/n wireless LAN + Bluetooth combination, and USB 3.0 ports. Other features of Fang III Taipan includes a 2MP web camera, fingerprint sensor, DVD writer/a Blu-Ray disc burner, Clevo P370EM whitebook case, an illuminated keyboard, built-in 9-in-1 card reader and a dedicated sound card only for high end version. The Fang III Taipan comes with one-year warranty and has a base price tag of $1819USD and the higher end version for about $5000USD. These laptops will be available from October 26 2012. Tags: Cyberpower Fang III Taipan, Cyberpower Fang III Taipan features, Cyberpower Fang III Taipan specifications, Cyberpower Fang III Taipan review, Cyberpower Fang III Taipan details, Cyberpower Fang III Taipan availability, Cyberpower Fang III Taipan specs, Cyberpower Fang III Taipan images, Cyberpower Fang III Taipan pics, Cyberpower Fang III Taipan pictures, Cyberpower Fang III Taipan price. Convertible Tablets are laptop -tablet combinations which can be used in either way. The Yoga series convertibles provides a hinge which helps 360 degrees orientation and can be folded from laptop to tablet in one simple motion. Lenovo IdeaPad Yoga 13 features 13.3-inch IPS 10-point capacitive multitouch display with 1600 x 900 pixel resolutions and is powered by processor options which ranges up to Intel Core i7 third-generation Ivy Bridge processor with Intel 4000 HD graphics. 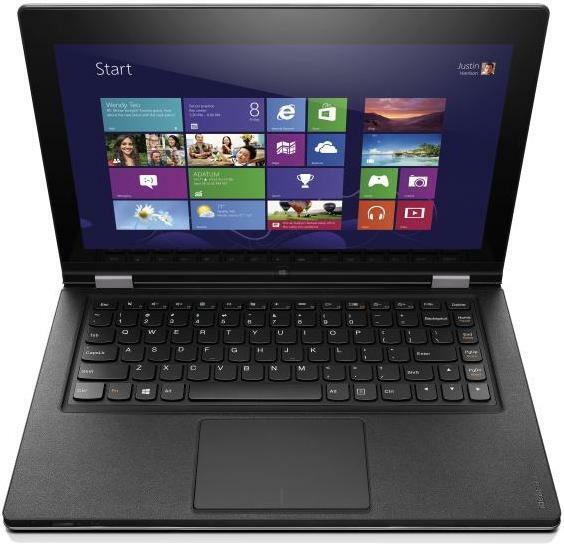 Lenovo IdeaPad Yoga 13 sports front facing 1-megapixel 720P HD webcam. 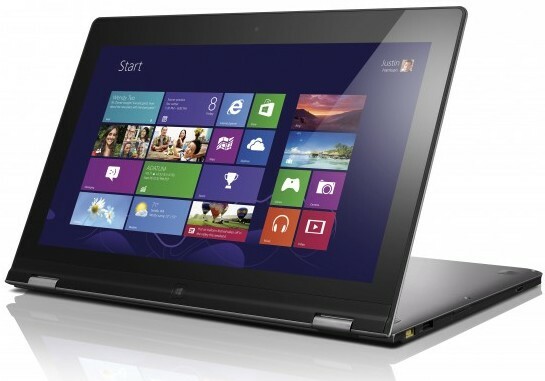 It has options for up to 8GB DDR3 RAM and it runs on Windows 8 Pro OS with up to 256 GB SSD storage. 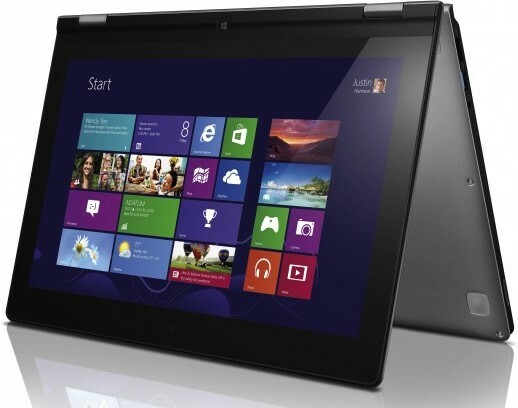 The Lenovo IdeaPad Yoga 13 weighs 3.4 pounds and measures 0.66 inch thick. Connectivity options includes 802.11n Wi-Fi, Bluetooth 4.0, a USB 2.0 port, a USB 3.0 port, an SD card slot, media card reader and an HDMI port. 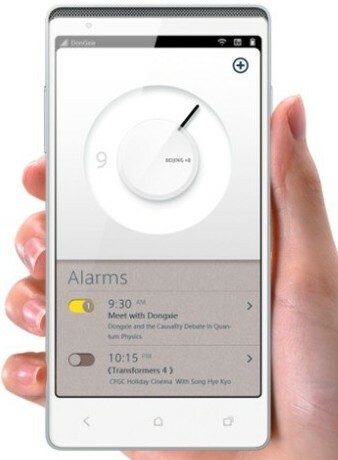 Other features includes seven hours of battery life and Motion Control technology. Lenovo IdeaPad Yoga 13 comes with a price tag of $1099 USD and is available from October 26, preorder started Best Buy Via. online. Tags:Lenovo IdeaPad Yoga 13, Lenovo IdeaPad Yoga 13 features, Lenovo IdeaPad Yoga 13 specifications, Lenovo IdeaPad Yoga 13 review, Lenovo IdeaPad Yoga 13 details, Lenovo IdeaPad Yoga 13 availability, Lenovo IdeaPad Yoga 13 specs, Lenovo IdeaPad Yoga 13 images, Lenovo IdeaPad Yoga 13 pics, Lenovo IdeaPad Yoga 13 pictures, Lenovo IdeaPad Yoga 13 price, Convertible Tablets.